This month the new core team, a fascinating group of people from various socio-cultural, regional and academic backgrounds, will continue what its predecessor has started. 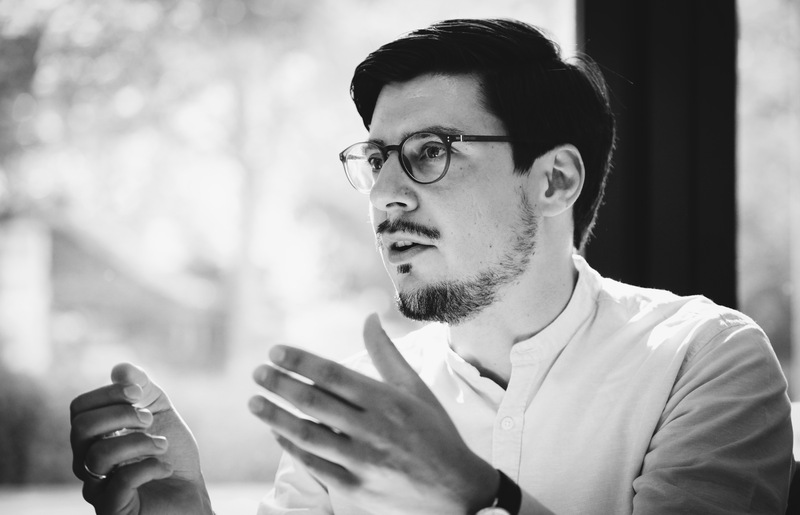 Zahnräder is almost two years old and over sixty people actively engage in the network’s organisation in various working and functional groups. Its mission can be conceptualized as a social incubator providing human, social, financial and cultural capital to social entrepreneurs. It is an enabling and encouraging platform acting as an uncle-doctor (or aunt) substitution system. More here. Zahnräder transforms individual energy into collective movement. Together, the Räder – wheels or gears – create change in and for society. The Zahnräder Network attempts to encourage as well as enable efficient and effective interaction by equipping its participants with knowledge to fish rather than the fish itself. And it provides a place – on- and offline – for structured interaction to contribute to a socially sustainable, innovative and multifaceted society. Networking is a multiplication formula which only works if it is pursued correctly. If you meet someone what do you think? What is your approach for a meeting? Quite a few books are written on this topic but I would like to suggest two points to ponder upon – easily to remember and thereby easily employable. The first is two have the following three questions in mind: Me? You? We? Or: who am I? Who are you? Who are we? This helps to understand the setting and act accordingly. And the second set of three questions: What can I do for you or your network? What can you do for my network? And only then lastly: what can you do for me? I believe in this culture of helping others. If this is really about the I – well, it seems that helping others makes me happy. But it also seems to be the right thing. Btw1: This seems to me to be essentially a very ethical question about our approach to life. How do I treat others? Why do I connect to others? Do I simply focus on my interests or is there more to it than trying to maximize my gains. What am I waking up for? Why do I (inter-)act? Institutionalized networking should encourage and enable networking. It should provide a frame or plattform for the micro-side. According to Podolny and Page (1998), a networked organization is based on trust and reciprocity while a hierarchical organization employs authority. It is “ask” versus “make”. For Goffee and Jones (1996) a networked culture is based on high sociability and high solidarity. Sociability measures the “sincere friendliness among members of a community”, whereas solidarity measures “a community’s ability to pursue shared objectives quickly and effectively”. If you intend to increase sociability, you should promote the sharing of ideas, interests and emotions by recruiting compatible people, augment social interaction, reduce formality, limit hierarchical differences and act like a friend, setting the example for kindness. If you aim to increase solidarity, you should develop members’ awareness of competitors, establish a sense of urgency, stimulate the will to win and encourage commitment to corporate goals. Btw2: Again, what an organization does to us and we to it, is a deeply philosophical question about how we approach the institutionalized “us”. Does the macro-side provide the right encouragement and enable the right interaction – done rightly? Organizations may end up measuring and incentivizing the bad? What if the essential is hidden from us? What, how and why do we in our groups, organizations and states encourage and enable certain ways of (inter-)action? Changemakers are actually bettermakers. They try to do better through change as well as conservation. Bettermakers need the right approach to (inter-)action on the micro-side and an encouraging and enabling macro-side. Let us start yesterday. 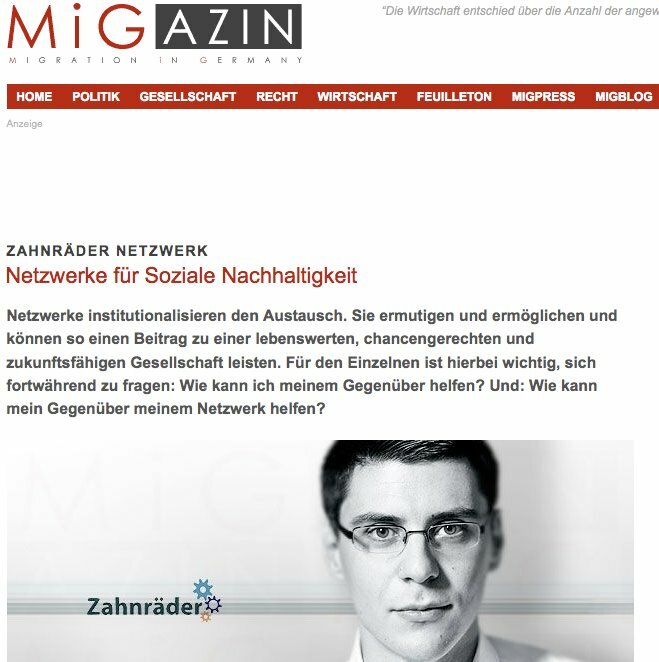 I have just published an article on migazin.de about networks and social sustainability. Networks are described as institutionalized platforms which encourage and enable exchange, interaction and all kinds of transfer. These networks can help us striving for social sustainability. The socio-economic or ethnic background should not matter in a meritocratic society. But it does. There simply is a huge discrepancy between what is and what should. This is not socially sustainable. Social sustainability is one of the three pillars of sustainability – next to economic and environmental sustainability. It is all about people, planet and profit – though I don’t think profit captures it. But value does not start with a “p”, does it? But let us focus on people in this blogpost. Networks have to substitute the missing uncle doctor. People from lower social or educational classes simply have a lower density and access to uncle doctors. Uncle doctor (or aunt doctor) hereby stand for a wise person, who can provide advice and help in all kinds of areas. Networks can act as an “uncle doctor substitute support system”. We essentially have us and what is between us: We could call us actors or agents and the between us a system or structure. Or in terms of network theory we have nods, connections and relations. Nodes are stations, connections are rails and the relations are trains travelling on rails between certain stations. We are nods connected to each other with certain kinds of relations. These networks could and should strive for social sustainability. They key is to allow for changemakers and allow changemakers making change happen. Simplified we have two ingredients. Ingredient one: the person, actor, agent or nod: this entity needs to ask himself two questions: How can I help you? And: how can you help my network? 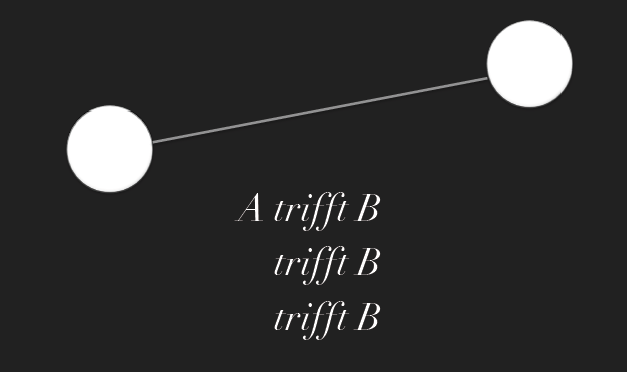 Ingredient two: the system, structure or connections and relations. These need to encourage and enable interaction and exchange. Both together create a willingness and an ability to change. How does this look practically? As often: it depends. There are many ways to facilitate this. The goal is the creation of ability on the one hand and the usability on the other hand. The Zahnräder Network attempts to encourage as well as enable efficient and effective interaction by equiping its participants with knowledge to fish rather than the fish itself. And it provides a place – on- and offline – for structured interaction. More on Zahnräder in my blogpost for August. Ability and usability can be paired and focused on participating in and for a pluralistic and socially sustainable society. Networks can substitute the uncle doctor and contribute to social sustainability. In this society, no one must have the response – but everyone should feel responsable. Zahnräder is an organization from Muslims for society. It is an enabling and encouraging platform which provides human, social and financial capital as well as motivation and credibility. The idea is to facilitate, to teach how to fish, not to give fish. Knowledge of all types is transferred – from tacit to explicit, individual to social, declarative, procedural, causal, conditional, relational to pragmatic knowledge. Similarly networks are built and a tertius iungens orientation (Obstfeld, 2005) of trying to connect people from your network with each other encouraged. How can this person help people in my network? This is a mentality shift of always attempting to help everyone around you which I experienced in Oxford from so many of my colleagues. It is a wonderful and helpful way of approaching others. And it benefits Zahnräder, too. Zahnräder transforms individual energy into collective movement. Together, the Räder – wheels or gears – create change in and for society. We are functioning thereby as a complement, not a substitute to existing organizations – enabling & encouraging changemakers. Currently, over 60 people are involved in the organization of Zahnräder. Communication is primarily online via skype, basecamp and email. We are organized in a matrix-like organization with functional groups on the horizontal and working groups on the vertical axis. Functional groups are inter alia finance, communication and IT. Working groups are the conference team and ZahnräderX local teams. We managed to shift from a starting phase to a growth phase. We intend to have over 120 Zahnräder involved in the organization primarily by extending our functional and working groups. The idea is to be sustainable internally and provide sustainable services externally. From October onwards, we are aiming to have a Human Resource and from December onwards an Internal Communication functional group. Also, we plan to establish a Zahnräder think tank.